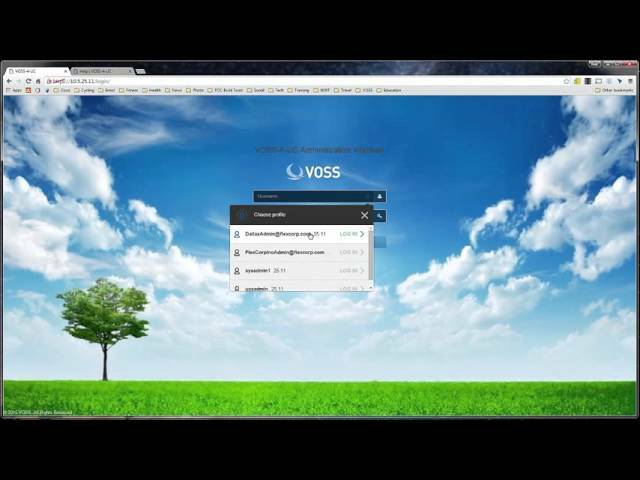 VOSS is unique in integrating UC fulfillment, UC assurance, and UC accounting, across multiple UC vendors; all from a single, flexible web portal. Unified communications is inherently complex. With VOSS, your organization can overcome this complexity by managing all UC applications from multiple UC vendors, with a full suite of UC management capabilities. 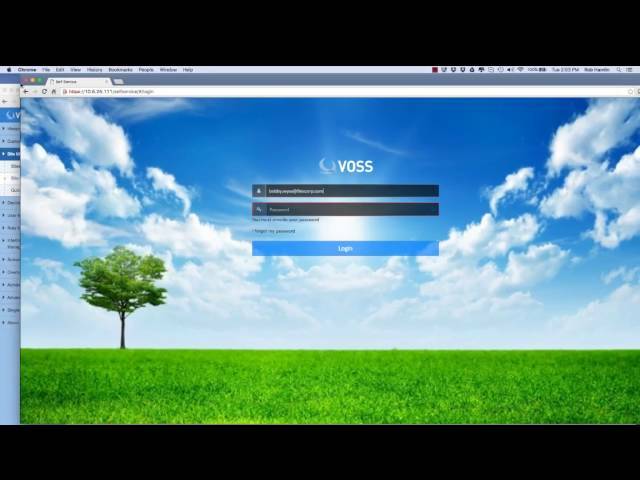 No other UC management vendor comes close to offering the depth of management that VOSS provides. "VOSS is awesome. 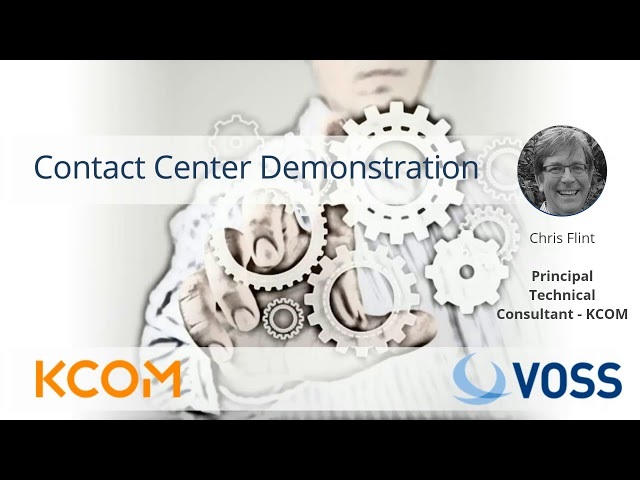 We use VOSS / CUCDM and it really makes multi-tenant UC easier." 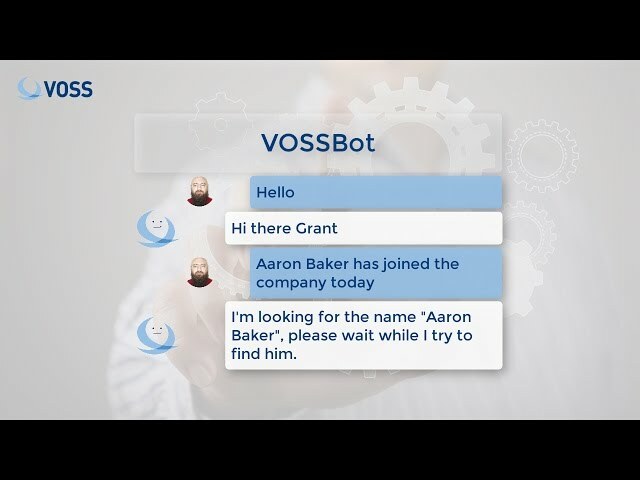 Richardson, TX - Thursday April 25, 2019 - Today, VOSS Solutions announced the general availability of VOSS-4-UC v19.1.1; the latest major release of the VOSS UC management tool that specializes in automation extension and dynamic communications workflow automation. VOSS-4-UC v19.1.1 underpins VOSS’ focus on delivering additional out-of-the-box automation by adding support for Contact Center and Auto Attendant features, ongoing usability improvements, and support for new versions of UC applications. There have also been advancements made in VOSS-4-UC that give VOSS’ customers the ability to maximize value from their UC solutions and minimize operational costs, while meeting their evolving business needs. The latest product enhancements are driven by VOSS’ close relationships with a large and diverse customer base, and in combination with extensive in-house UC experience and skills. VOSS-4-UC automation extension - VOSS’ close collaboration with its customers has led to the introduction of automation into many new business and operational processes, to fuel customer efficiency and extend the applications supported with integrated out-of-the-box automation. 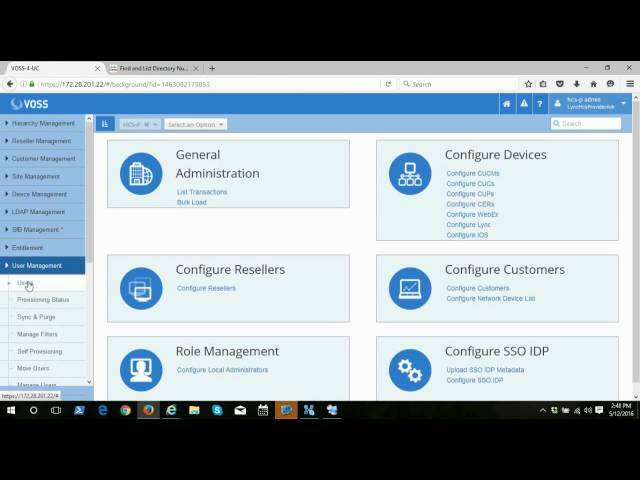 For example, version 19.1.1 incorporates an extensive set of Contact Center agent and team management capabilities, and fully manages Auto Attendant across the VOSS-4-UC admin portals. Integrated service management capabilities stretch to other business aspects of service delivery, such as billing, and role-based access control empowers business stakeholders to respond to change fast. These pre-integrated services harness the agility in VOSS-4-UC to automate tasks in virtually any external system. Key configuration tasks can be provided to business users, to drive behavior that meets specific business needs, including day-to-day tasks such as managing schedules and greetings. Support for the latest UC application versions - VOSS-4-UC v19.1.1 supports the latest versions of UC applications, such as updated Microsoft Teams support and support for the latest Cisco 12.5 UC applications, including updated Webex Teams support. With VOSS-4-UC, customers can deliver the latest UC applications and capabilities to their user base quickly and efficiently. Improved usability - VOSS has evolved and expanded its Business Admin Portal (BAP) interface to deliver an impressive user experience with an intuitive and easy-to-use interface. This improves efficiency while significantly lowering the barrier to use for many business tasks, especially for devolved administrators. The intuitive nature of BAP, along with the ability to tailor the interface to suit specific needs, greatly reduces training needs and enables a wide range of users to carry out role-based tasks. This empowers many areas of the business, while ensuring operational costs are minimized. For more information about VOSS-4-UC Version 19.1.1, please email info@voss-solutions.com. As CTO at VOSS Solutions, I get to talk to a lot of our partners and customers about their specific needs and requirements. One common theme that comes up with all of them, is the need to cut down on operational costs. This can of course be accomplished in many different ways, but the one strategy all of them are looking at, is automating and streamlining day-to-day moves, adds, changes and deletes (MACDs) in their UC solution. Whether it’s a service provider managing many small customers or a single, large and global enterprise, day-to-day MACDs can consume valuable resources. Looking at a specific example, we recently engaged a large enterprise who has around 130k users globally, who is planning to migrate and onboard another 70k users over the next year. The company currently employs around 25 resources spread across the major geographies, to field roughly 7,000 MACD requests per month. That means on average one of these operations engineers are executing just over 10 MACDs per day. By the time the enterprise has migrated the remaining 70k users, they will need to employ 45 resources to deal with the increased number of MACDs. With automation however, it’s possible to execute thousands of MACDs per day and employ a much smaller team that simply maintains the automation and business rules. This team does not need to grow as the size of the enterprise grows. This level of automation can easily be achieved with VOSS-4-UC and ServiceNow. 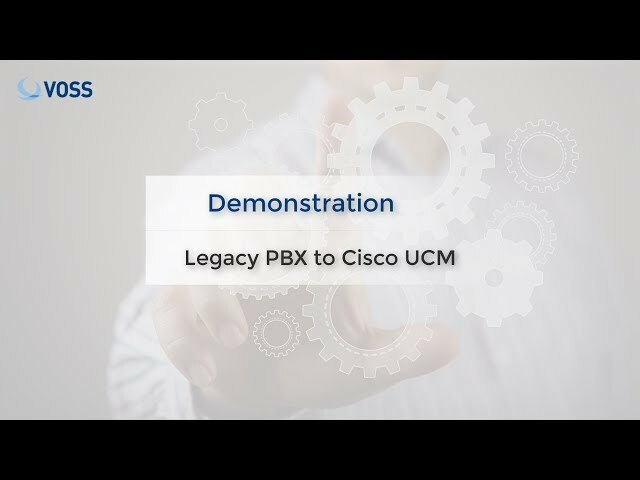 VOSS-4-UC is VOSS Solutions' UC management and automation platform that is able to perform MACDs across Cisco, Microsoft and BroadSoft systems (both on-prem and cloud). ServiceNow is a flexible ITSM platform widely used as both an incident management system and customer portal. The first option is recommended if there is an existing ServiceNow development team in place that can build out the integration and ServiceNow is being used as a customer or end user portal where more complex workflows are being used. The second option is optimally effective when ServiceNow is used purely as a ticketing system. 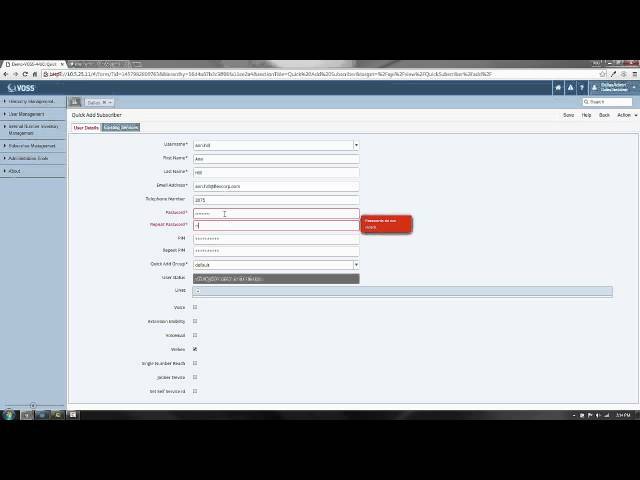 The VOSS-4-UC ServiceNow Integration simply polls for new tickets, executes related automation and closes the ticket once completed. "So, please, please go look at a BCOM system, such as VOSS-4-UC, so that you get your money’s worth out of the highly communication-dependent users in your company, while also assuring you are managing the TCO of your communications technologies. It will be worth your time and investment. " "For those who are looking for a single pane of glass to manage a multi vendor collaboration environment, VOSS does as good a job as I've seen so far." "[For a collaboration deployment]... one of the biggest keys to success is having the right management and administrative tools in place from Day-0." "…unless automated OSS tools and processes are deployed, cloud-based collaboration will not be successful." "Anyone with cloud problems should perhaps turn to VOSS Solutions, which took home the award for its cloud fulfillment platform." "Reducing operational time only becomes possible with user profiling and the automation of configuring those profiles. This should be a priority for organizations." "A large number of customers are migrating to Skype for Business, but retaining their existing voice infrastructure...the tools that VOSS provide are essential to a successful technology transition and user migration." "VOSS enables staff to move beyond the challenges of operations to focus on enablement and adoption, while avoiding errors and delays that reduce both user satisfaction and adoption." Find out how much you could save with VOSS - Put our ROI calculator to the test!